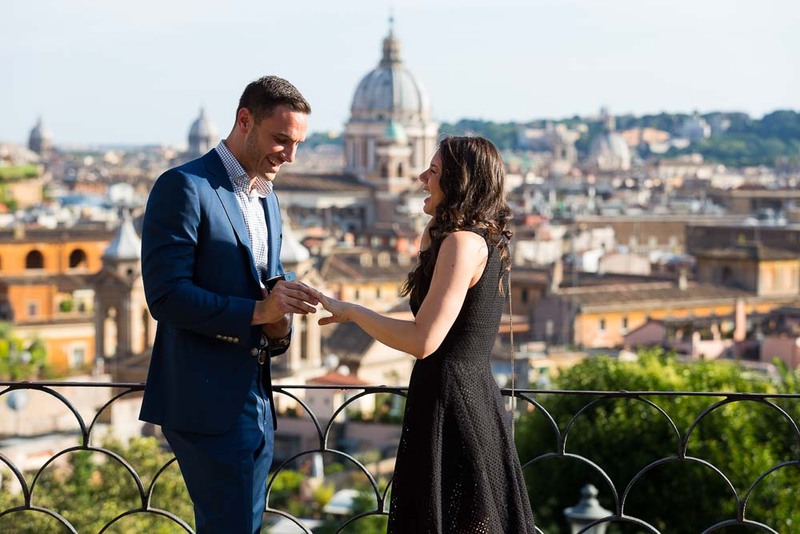 This wedding proposal took place at Parco del Pincio which has a truly unique view over the ancient roman rooftops. A perfect place for such romantic surprise which was welcomed with much joy and happiness! After catching some air from the thrilling moment we met and introduced ourselves! 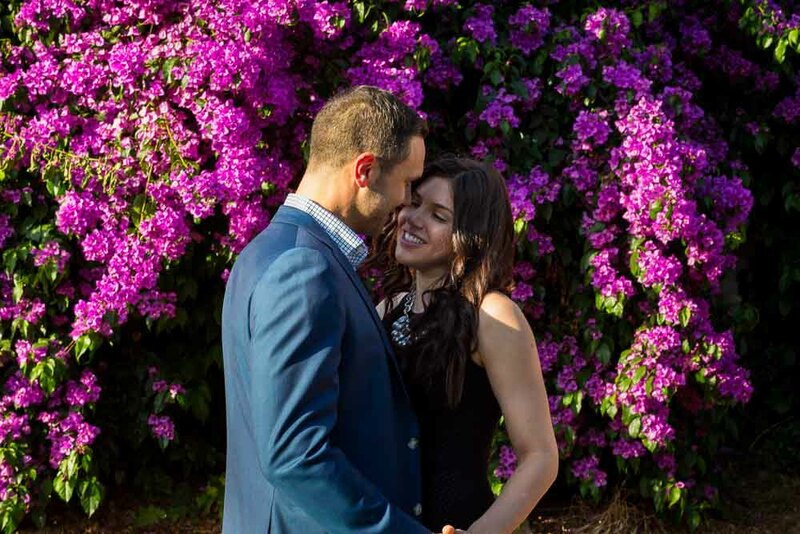 Soon to continue with a very happy engagement session in around the surroundings. 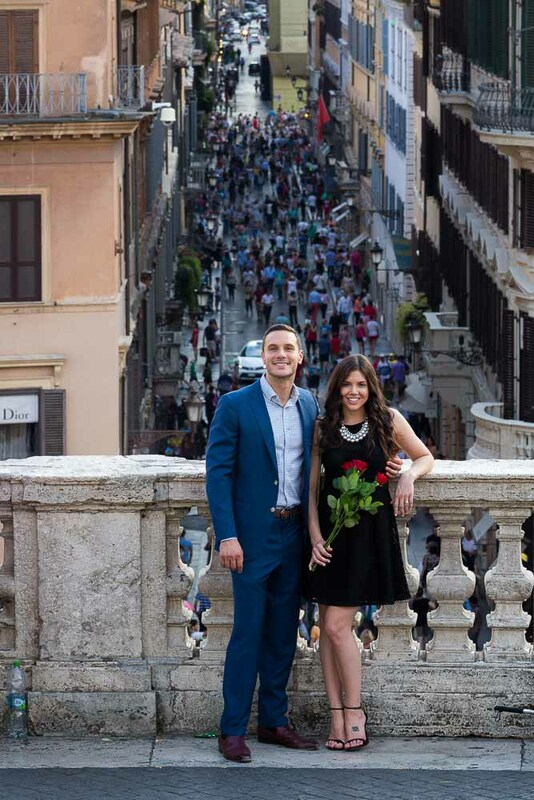 Taking some more pictures with the panoramic view in the background as we headed towards the Spanish steps. Stopping by for a quick snapshot by a beautiful bougainvillea plant with bright blossoming flowers. 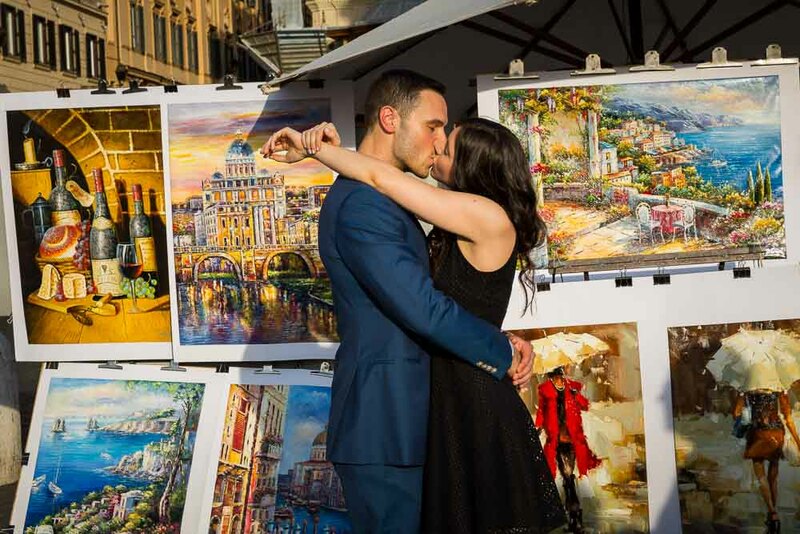 Once we reached Piazza Trinita’ dei Monti we took some more photos by the artists’ paintings. 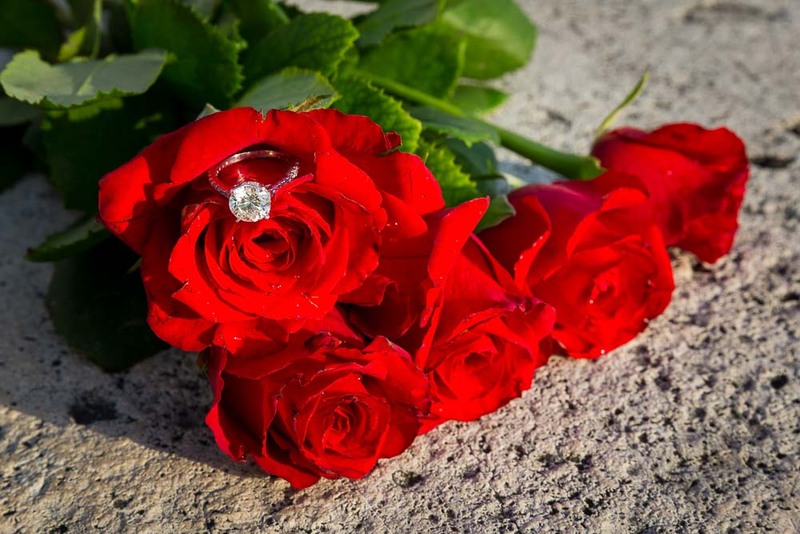 Combining the engagement ring with some bright red roses trying to shoot just the right image. Then down the Spanish steps stopping to take some more pictures on the staircase and by the terrace view over Via Condotti. We saved out last set of pictures down at the bottom of the staircase in front of the Barcaccia water fountain. 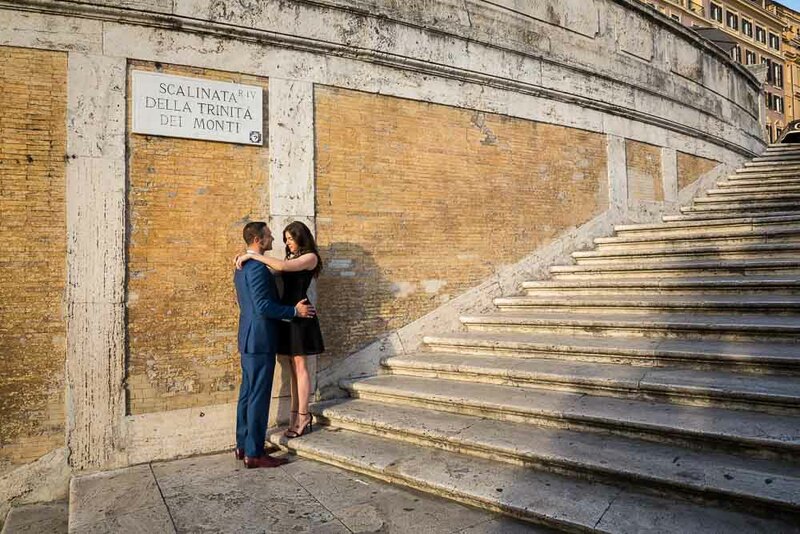 Proposing inside the Roman Colosseum. A truly unique experience! Curated imagery by Andrea Matone photographer. 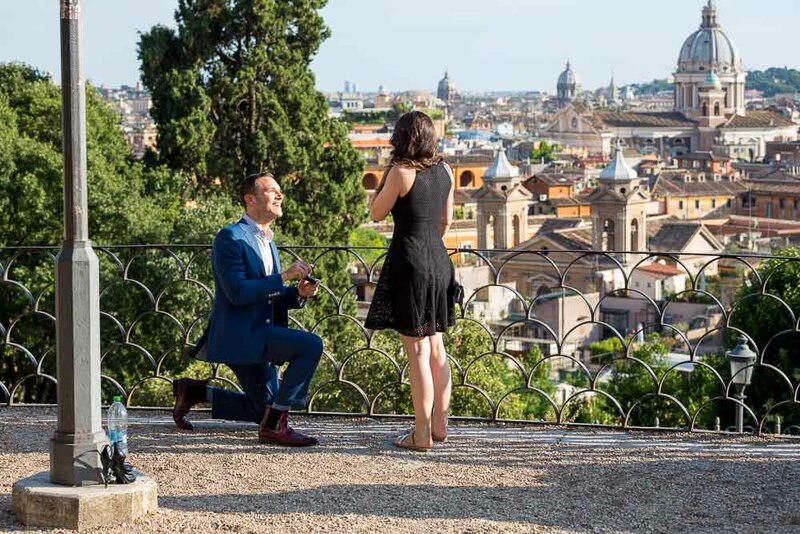 Romantic proposal candidly photographed in with a spectacular view over the roman skyline. Then on a stroll around the environs to shoot some nice engagement pictures! Thank you for capturing the best day of our lives so beautifully! You were wonderful in every way!